Electroneum (ETN) is a new crypto coin that was designed to allow anyone, regardless of technical ability, easy access to cryptocurrencies. Within minutes of installing the Electroneum mobile app, any user can gain a wallet and begin mining ETN tokens right from their smartphone without the need of any specialized equipment. Electroneum describes itself as an easy-to-access cryptocurrency with none of the common barriers to entry in the crypto world like complex software or expensive mining rigs. It has all of the benefits of Bitcoin but with faster transaction times, better security, and complete anonymity. One of Electroneum’s biggest selling points is its mobile mining experience, which makes cryptocurrency mining accessible to the estimated 2.2 billion people around the world who have smartphones. Users can even run the Electroneum app in the background to easily mine ETN. Electroneum reportedly ran one of the largest ICOs (by user numbers) of all time. With over 120,000 contributors, the token sale reached its $40 million USD hard cap days before the deadline and closed early. The value of each coin was $0.01 during the ICO with additional bonuses awarded to those who bought tokens early. A total of 6.3 billion tokens were sold during the ICO period. As of December 2017, there were 5.1 billion ETN tokens in circulation. The developers were forced to push the official launch date of Electroneum forward because of a cyber attack a few day after the ICO closed. The coin’s total market capitalization was unknown, but ETN was valued at $0.107 with a 24-hour trade volume of $3.2 million USD. 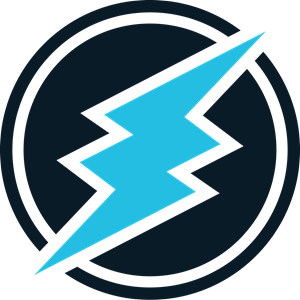 Electroneum uses the CryptoNote protocol popularized by Monero and Bytecoin to provide users with anonymity. CryptoNote uses ring signatures to make payments untraceable, implements unique one-time keys to make transactions unlinkable, and uses special markers called key images to prevent double spending. The protocol effectively makes the details of any transaction made using ETN completely private. The Electroneum app, which is available on Android and Apple systems, is free and gives users instant access to the Electroneum blockchain without requiring any ID or credit card information. Users can begin mining ETN immediately after downloading the app. Electroneum favors CPU mining because most modern smartphones have decent CPUs. The developers claim that mining ETN won’t cause a smartphone to heat up or drain the battery even when the app is running in the background. It also requires very little bandwidth and doesn’t cost a lot to run on 3G or 4G data. The maximum available supply of Electroneum was deliberately made large so that mining quickly pays out whole coins. Studies performed by the Electroneum team showed that users prefer to see a whole number in their wallet than fractions of a coin. Users who earned coins while running the app rated their experience higher when they received whole coins than when they received fractions of a coin. Electroneum has “whale” protection to prevent users with industrial mining rigs from having an unfair advantage. It prevents ASIC mining and limits the difference between CPU and GPU mining. By keeping mining fair with large coin payouts, the developers hope non-technical users will find the app interesting, recommend it to their friends and family, and then use it to for their daily transactions. High coin volume: Electroneum has a maximum supply of 21 billion tokens. The developers believe a high volume of coins will make standard transactions have only two decimal places, giving them that ‘real money’ feel Bitcoin lacks. Simple wallet: The Electroneum app comes with a wallet that can be easily managed on a smartphone. Fast micro-transactions: The app is designed to make the transfer of coins between different users, apps, and games very fast. Independent blockchain: Electroneum is built on its own independent blockchain rather than a Bitcoin or Ethereum fork like most new cryptocurrencies. Electroneum is currently only listed on Cryptopia. The developers are applying to several other exchanges, including Poloniex, Bittrex, Liqui, HitBTC, Livecoin, Exmo, Bitfinex, and Evercoin. Check the official website/social media for updates on the coin’s application status. The Electroneum app can be used as a wallet. It allows users to manage online funds as well as send and receive payments. The app also lets users create offline wallets that are “literally impossible to hack,” according to the official Electroneum website. Electroneum has had a rocky start. It was hit by a distributed denial of service (DdoS) attack at the beginning of November, just a few days after it completed its ICO. The developers were forced to shut the entire system for several days in order to mitigate the problem, and had to delay the full launch of the mobile app. 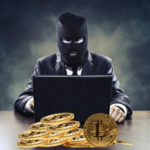 According to an official blog post that published after the attack, Electroneum was not hacked, but hundreds of user accounts were compromised because those users used an email and password combination that had been hacked elsewhere (Dropbox hack, Yahoo! hack, LinkedIn hack, etc.). The Electroneum team shut down their system before any transfers could take place to keep everyone’s tokens safe. To make sure the system is secure, the developers are using HackerOne to perform a series of penetration tests before they relaunch Electroneum on 13 December, 2017. So far, no serious vulnerabilities have been reported in the Electroneum system. The scare from cyber attack and subsequent shutdown coupled with the relative newness of Electroneum has significantly lowered ETN’s liquidity. It doesn’t help that ETN can only be traded on Cryptopia in BTC and LTC trading pairs. Perhaps the situation will change after the relaunch.